We produce steel belts for a variety of specific applications as well as associated technologies offering significant production benefits. Solid and perforated bake oven carbon steel belts with a tough hard wearing belt surface that guarantees hygenic baking and a high-quality end product. Steel belts for the production of particle board, MDF, OSB and coated boards. 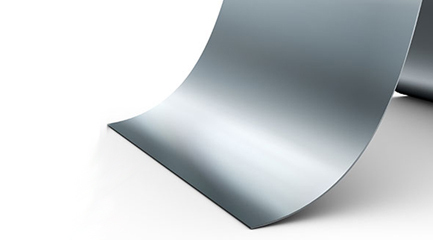 High gloss steel belt is used to produce high quality films, such as optical-use thin films for liquid crystal display (LCD) etc. Solid and perforated conveyor steel belts for a wide range of conveyor applications. Solid stainless steel cooler belt for the cooling and solidifying of, for example, chemical and food products. Extended steel belt press nip solutions can deliver enhanced pressure control for a higher quality, more consistent end product.